In a Montessori class the child's performance is not evaluated by conducting tests or examinations. Instead the child's effort and work is respected as it is. The teacher, through extensive observation and record-keeping, plans individual projects to enable each child to learn what he needs in order to improve. Therefore, observation play an important part in the Montessori Method. Montessori philosophy recognizes that children have a natural drive that inspires them. 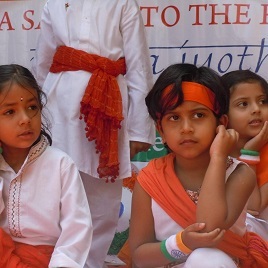 Their mind are like fertile fields, and their inherent love of learning is stimulated when they are given opportunities to engage in meaningful activities with proper balance of freedom and guidance from specially trained teachers. Montessori children develop skills of concentration, motivation and self-discipline. Within this framework, each child progresses at his own pace and rhythm, according to his individual capabilities, and is inspired to learn with wonder and confidence. 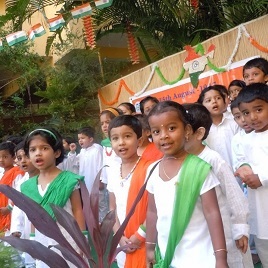 Mithrajyothi bears witness to availability and brilliance of this educational approach. Mithrajyothi does not cater to a particular type of child exceptionally bright, average and more slowly paced students can blossom in our environment. 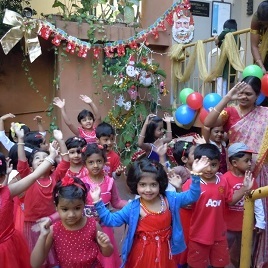 Mithrajyothi serves children with a singular mission to enable them to develop their individual gifts within a respectful, loving and supportive environment. 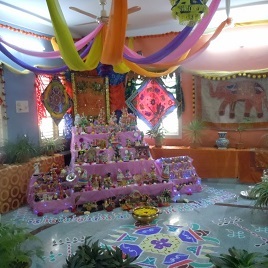 Montessori method of teaching strictly followed in Mithra Jyothi.We are very professional in our work. 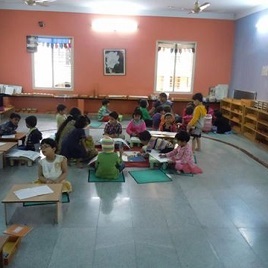 On-Job Training provided by well qualified & experienced faculty to candidates interested in learning montessori method. Consultation and Counselling provided to parents regarding Behavioural issues and/or learning disability in children . We have been featured in Deccan Herald newspaper-an English daily newspaper from Indian state of Karnataka. 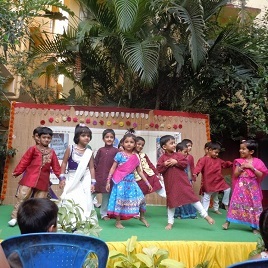 Mithra Jyothi Montessori School stands like a …. Near New Chaithanya Techno School.